The Bronx 13-roll straightener is designed to process bulb and flat steel sections up to 220mm wide, which feature heavily in the construction of cruise ships and form part of a fully integrated sheet metal and profile-preservation line. The motorized machine is fully automatic. It is utilizing the COMPASS system (COMPuter Aided Setting System) for automatic precision setting of all work rolls. The equipment will be designed and pre-assembled in England, where the group has been designing and manufacturing Bronx straightening machines for tubular and long products for more than 76 years. It will be delivered to China and put into production in 2020. 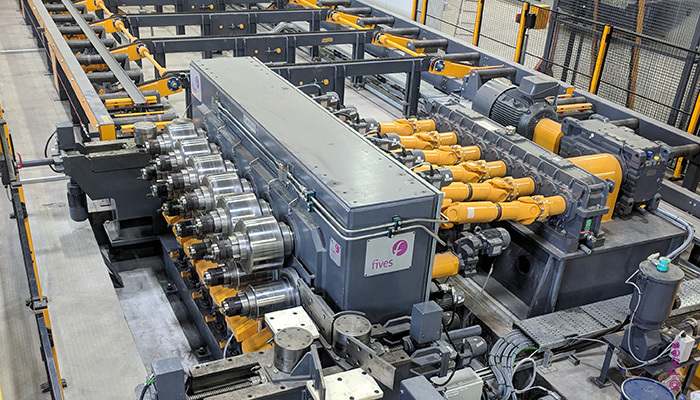 Fives has already supplied several high-performance Bronx bulb section straighteners for the ship building industry in Europe, in recent years. Overall, more than 800 Bronx straightening machines for tube, pipe, bar, section and rail applications have been installed in more than 50 countries.